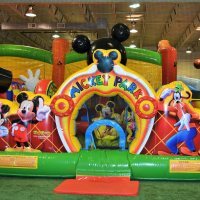 FunMaryland.com has the ultimate guide to birthday party places in MD. Find laser tag arenas, arcades, family fun centers, indoor playgrounds and other amazing attractions that offer birthday parties for kids. You can also check out KidsParties.Party, an easy-to-use guide to birthday party places in Maryland by city and county. They have an extensive list of the best gymnastics party places in MD that kids will love. Host a fun and flexible birthday party at Emilia's Acrobatics and Gymnastics Club! Let your birthday child and his/her friends show off their gymnastics skills and pick up a few new ones, plus jump on the trampolines and play party games! A dedicated and experienced party host will be watching over the children the entire time to ensure everyone's safety. All parties include 1 hour of gymnastics, 30 minutes in the party room, dedicated party host, invitations, goodie bags, set-up and clean-up, and a t-shirt for the guest of honor! For a completely hassle-free birthday party, ask about adding on a food and drink package! Parties at Emilia's Acrobatics and Gymnastics Club are available Saturdays and Sundays for your convenience. Visit their website to book your party online today! #1 Destination for go-kart parties in Baltimore, MD! The Go-Kart Track is the only go-kart racing location in Maryland boasting three unique tracks, as well as a mini-golf course available for birthday parties, seasonally. The Junior Track is an oval-shaped track specially designed for younger racers 42” and up. For the safety of all drivers, once the gas pedal is released an automatic breaking system kicks in to ensure everyone gets off the course safely. The Family Track accommodates single and double seated go karts. Adrenaline junkies will want to take advantage of the Drift Track! This track is only for drivers 54” and over and is meant for only the fastest go-karts! Once your party group is done racing, they can head over to the 9-hole mini golf course! 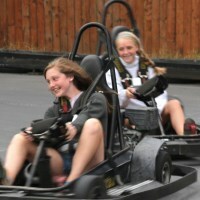 The Go-Kart Track offers three birthday party packages: the Pizza Party, Cookie Party and Unlimited Party. Add-ons including cake, food and more go-kart time are available. Visit the website for an overview of what each party package includes, then call to speak with a Go-Kart Track party coordinator who will help you book the ultimate go-kart party in Maryland! Every little princess deserves to feel extra-special on her birthday! Ladybug's Kids Glam Spa is the ultimate kids spa located in Crofton, MD. Their professionals provide fun and cute salon services, such as manicures, pedicures, facials, glitter tattoos and so much more. Plan the best spa birthday party with any of their packages. The Ladybugista package features manis and pedis with designs, a VIP Pink Carpet, movies and music, fancy drinks and snacks, robes and slippers, glitter tattoos and a tiara and gift for the birthday girl! Jaymies Ultimate Package includes all of the above, plus Ladybug Idol and Karaoke, candy or jewelry boxes, princess cupcakes and pizza. Ladybug's Kids Glam Spa also offers special toddler, teen and Doll & Me parties! Little girls love to be pampered. 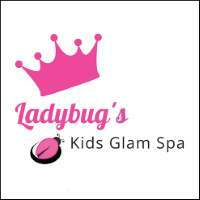 The best place to go glam in Maryland is Ladybug's Kids Glam Spa. Visit their website for more information. 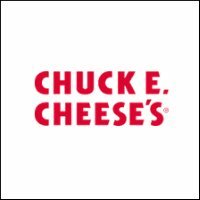 Chuck E. Cheese's is one of the best kid's party places of MD. They offer several amazing things that your kids will love and enjoy on their big birthday. The birthday boy or girl receives a t-shirt to party in, a birthday shout out and time in the Ticket Blaster. This party venue offers two hours of non-stop fun, arcade games, pizza and an appearance by the big cheese himself! Parents can arrange an amazing birthday party at Chuck-E-Cheese. Parties are available Sunday through Thursday from 9:00 am to 9:00 pm, Friday and Saturday from 9:00 am to 10:00 pm. Chuck E. Cheese's even offers the best environment to celebrate any party. Chuck-E-Cheese is also the perfect party place for planning group events, fundraisers and outings. 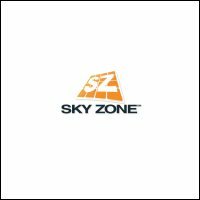 Sky Zone is the world's first indoor trampoline park. Experience the weightlessness of bouncing and the thrill of flipping and flying. Working out has never been so much fun. Sky Zone offers open jump, Sky Slam court basketball, SkyRobics fitness classes, Ultimate Dodgeball and more. SkyZone also has special programs for toddlers, kids, teens and adults. Plan an awesome, high-energy birthday party at Sky Zone. Birthday party packages include one hour of jump and 40 minutes in the private party room. Party guests have access to the Foam Zone pit and the Sky Slam trampoline court. Paper products and refreshments are also provided, plus a Sky Zone T-shirt for the birthday guest. See their website for a complete list of packages. Party big and play great at Monkey Joe's! Monkey Joe is a lovable purple monkey who wants to invite you over for a day of active, high-energy fun! Monkey Joe's is a great indoor play place where kids can bounce, jump and have fun. Monkey Joe's main priority is maintaining a fun, safe and healthy play place for the kids. Their parties are full of bouncing, sliding and jumping fun. 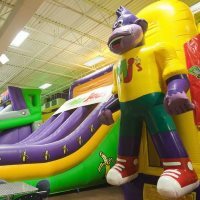 Monkey Joe's is the perfect birthday party place in Maryland for kids age 12 and under. Enjoy the wall-to-wall inflatables, arcade games, concessions and party room for a fun-filled birthday celebration. Best of all, Monkey Joe will make an appearance and join the party! Monkey Joe's is also available for group events and fundraisers. Pump It Up hosts open jump, birthday parties, events and several other fun programs for kids. They are open on Monday to Friday from 10:00 am to 8:00 pm, Saturday 8:00 am to 8:00 pm and Sunday from 10:00 am to 6:00 pm. 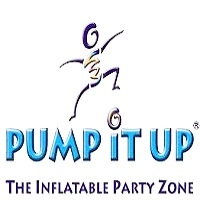 Pump It Up offers exciting parties for kids. Spend the day bouncing, sliding and jumping at their safe, clean and fun facility. Host a Glow Party, a Pirarte Quest Party or a Superhero Training Camp party to make your birthday memorable and exciting. Personalize this special day with refreshments, goodie bags, balloons and more. Plan a high-energy, exciting birthday at Pump it Up! Jump On It Fun Center is an awesome place to have your birthday party. They have the best selection of inflatables. Slide down The Shark, fight crime in the Batman obstacle course or take a swing at floating baseball. Jump On It even has special inflatables for toddlers, so everyone can join in the fun. 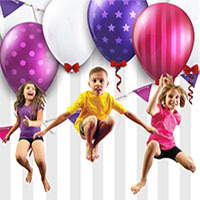 Plan an amazing, fun-filled birthday party at Jump On It. Enjoy the best bounce houses, obstacle courses, inflatable sports centers and slides in Maryland. Did you know Jump On It is the only party center with its own zipline? They have packages for every type of party. Plan a one-hour party or stay all day! For backyard events, Jump On It can bring the inflatable fun to you! Check out their website for information on outdoor party rentals. Birthdays come to life at Bounce U! Bounce U is birthday-party central. Their birthday party pros insure a stress-free party. They guide your through party planning from beginning to end, and want to make your party as unique as your child. Leave the party planning to them! During the party, guests have private use of the inflatables and party room. Experience VIP treatment and make your child feel like a star at their birthday. Bounce U's birthday party pros also keep the party safe, under control and fun. They play fun games and host activities while also keeping an eye on the young guests. 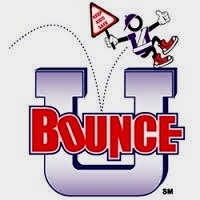 Bounce U is also happy to host your fundraiser or team party. Come by during their Open Bounce sessions, too! Every day is an adventure at Kiddie Crusoe. Play on their gigantic indoor playset, complete with pirate ship, castle fort, tube slide, crawl tunnel and more. Bounce around on the brand new inflatables, and slide right into the colorful ball pit. Explore Kiddie City and play in the make-believe town. Kiddie Crusoe even has a video game station with Nintendo Wii! Kiddie Crusoe offers a variety of kids party packages. Each party package includes the use of the private party room, party decor and tons of fun! Each party is customizable. Have a royal princess bash or a swashbuckling pirate adventure. Host your birthday at the finest party place in Maryland! 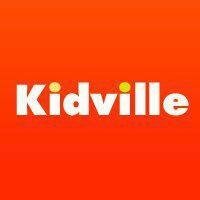 Kidville is an award-winning children's entertainment company that offers gym, art, music and dance classes for young children. Kidville is also a preschool where kids learn through fun and play. Nationally known, Kidville has been featured in The New York Times, US Weekly, Today on NBC, and CNBC. It was named one of the "10 Best Birthday Party Places" by Parents magazine. Host the perfect birthday party at their Bethesda, Maryland location. Choose from two all-inclusive packages or create a custom package for your child's special day. Choose from many exciting themes, such as Dino-Mite, Royal Princess and Knights, Under the Big Top and more! This is the perfect birthday party location for children ages 6 and under. Set sail aboard the Sea Gypsy for a swashbuckling birthday! 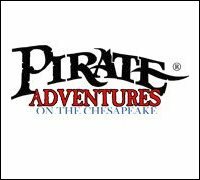 Pirate Adventures of the Chesapeake is a can't-miss family fun attraction in Annapolis. Search for sunken treasure, fire water cannons at enemy pirates and have a high seas adventure of a lifetime! Pirate Adventures sets sail from April through Labor Day, which makes this a great outdoor party place for summer birthdays. The birthday adventure begins with pirate face painting and dress up. Then, the crew takes your party on a 75-minute cruise around the Chesapeake Bay filled with excitement and adventure. End your special day with use of the private party room. See their website for a complete list of party packages. You can also customize your party with additional party favors. See you aboard! Rock out at your birthday party! Bach to Rock is one of the most unique places for kids to explore their love of music. They offer individual lessons, group programs and camps for children and adolescents. They also have weekly jam sessions and regularly-scheduled public concerts that turn students into rock stars. They even have a recording studio! 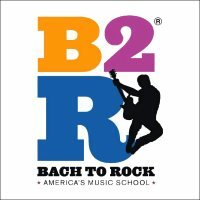 Bach to Rock allows kids to learn by playing the music they love, and enriches their lives with a lifelong skill. Kids who love music will LOVE to have their birthday party at Bach to Rock. The Rock City birthday party gives preschoolers a hands-on exploration of rock instruments with an Early Childhood Specialist. Kids ages 6 and up will love to sing their hearts out at the Karaoke Birthday Party. The Rock Birthday Party consists of a two-hour jam session where party guests record their own song. Older kids love creating their own mashups during the DJ Party. Climbing has never been this cool! 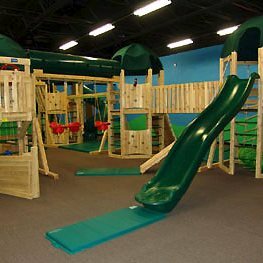 Climbzone is Maryland's most unique place for kids birthdays. This indoor rock climbing center has awesome themed rock walls. Reach the top of Jack's giant beanstalk, scale the Empire State Building and climb on the ancient bones of a T-Rex. Climbzone's instructors make sure that all guests are having a fun and safe time. Kids love to celebrate their birthday parties at Climbzone. Parents love it because it's a safe, fun and unique place to celebrate their child's special day. 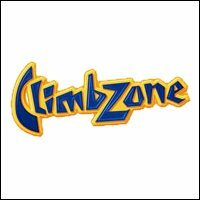 Climbzone has separate birthday areas available for cake and presents while the kids climb. Experience up to three hours of climbing fun during your birthday party. Visit their website for more information on how you can host an action-packed rock climbing birthday party.